These cards comprise of original Christmas artwork printed in black onto handmade natural paper that is pasted onto a craft card. The artwork is decorated with beads. The spine of the card is decorated with a piece of raffia with a bead on each end. 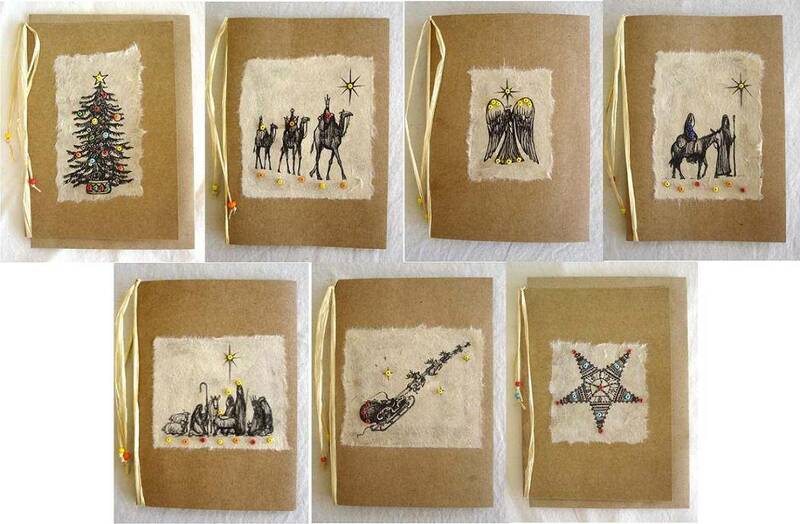 The designs are: star, Christmas tree, angel, Mary & Joseph, 3 Kings, nativity & Santas sleigh. The cards are packaged in a poly prop bag with a craft envelope. Unless otherwise requested you will receive a mixture of designs.